Auslogics BoostSpeed 5 Giveaway ! Download NOW !!! 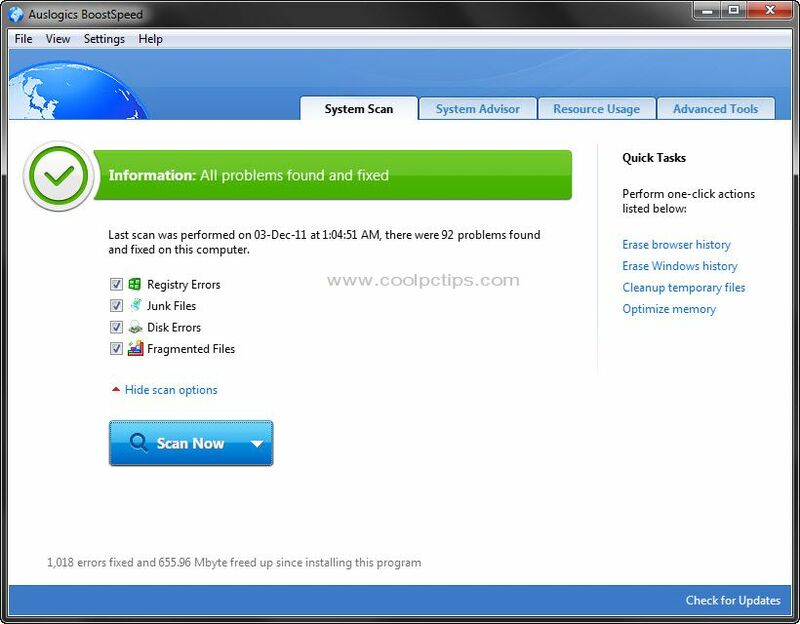 Our Auslogics BoostSpeed 5 Giveaway will help many people who are having issues with their Slow PC’s. Working on a slow PC is always a problem for any common user. When i am talking about a slow PC, its not the system configuration or the hardware. I am talking about the applications which we use in our system and over load our PC to make it dead slow. We install a lot of stuff in our PC and will never uninstall them, even if we are not using them we keep them till next format. This will result in slow shutdowns, slower boot up time, lag in the middle of any important work and etc. These unwanted applications and other services will slow up or PC and in result, we experience a slow response time in what ever we do. We do search for a lot of applications to speed up our PC and most of them are paid and not worthy to buy. But today, we are announcing the ultimate tool to speed up your PC in just fraction of seconds. 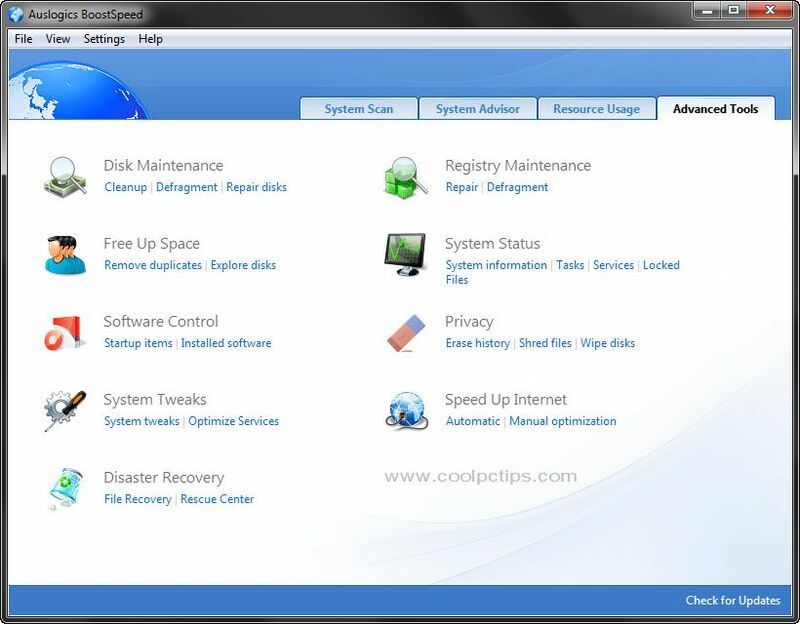 This ultimate PC maintenance and optimization tool is world famous for it amazing features like Cleaning up the windows registry, De-fragmenting the hard drives, Frees up the disk space, Recovers accidentally deleted files, Speeding up your Internet Connection and Etc. 1) One-click PC Speedup Engine : You can speed-up your PC with a single click. Auslogics BootSpeed will find the problems that are affecting your PC’s performance and then automatically fix them in minutes time. 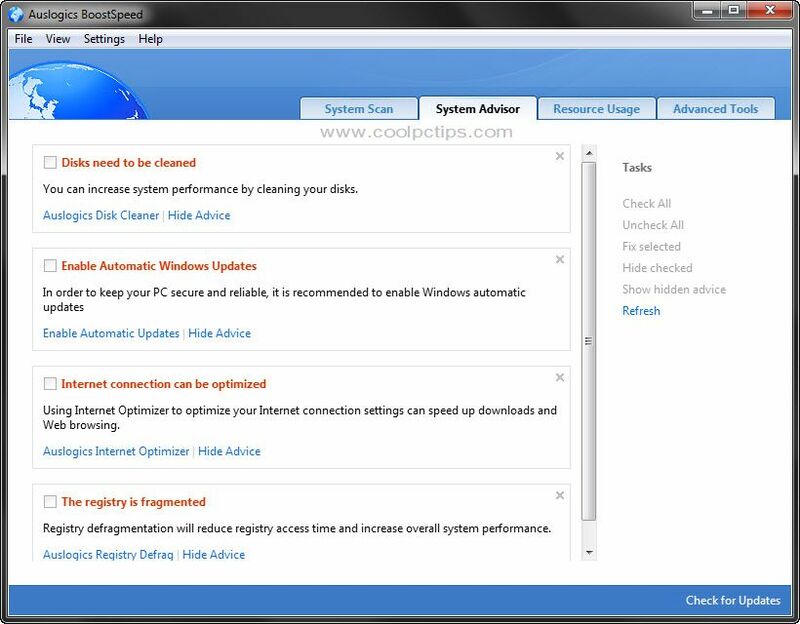 2) Smart System Advisor : Auslogics BootSpeed 5 will give you advice on how to speed up your PC. It will analyze the current windows settings and then shows you a list of options where you can optimize them to speed up your PC. 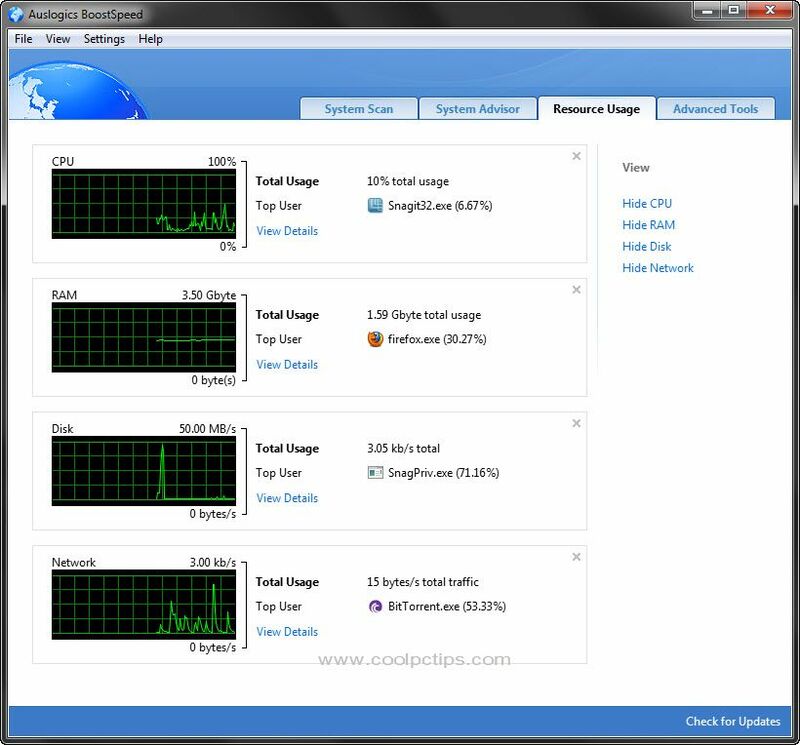 3) Resource Usage : With this tool, you can track all your processors running in your PC. You can view how much resources your CPU, RAM, Disk and Network are using. Also you can kill the running processes by just clicking on View details and getting the right processor name to proceed further. 4) A Bundle of 18 tools : The Auslogics BootSpeed 5 is not just a PC optimizer, it has over 18 tools to speed up your PC from all possible ways. With Auslogics BootSpeed 5 you can speed up your Internet connection, remove traces of PC activities, recover deleted files and do lot of other useful things. I will list out all the amazing features of Auslogics BoostSpeed 5. With these amazing features, you no longer need any other applications like file recovery, disk wiper, File Shredder, Duplicate File Finder and many more. These are the 20 amazing features of Auslogics BoostSpeed 5. The software will not only make your PC stable, but also you can find an amazing difference in the performance of PC games.The recent tests have shown that a PC optimized by Auslogics BootSpeed eliminated lags in multiplayer games and resulted in faster game launch and improved FPS. So, for what are you waiting for ? You can download the software and give it a try yourself. Open the registration page here and and complete the form on that page to receive your serial number to activate your full version of Auslogics BoostSpeed 5 SE. All THE BEST Buddy ! Great software, unfortunately SP version haven't so many tools.